Today for writing we were learning about past, present and future tense. for example I broke something, this is broken and it will brake. these are all examples of past, present and future tenses. 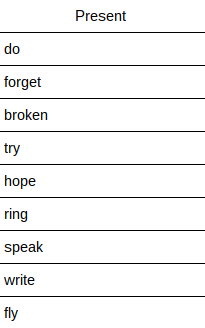 These are present tense words. Today's writing was interesting but still cool.